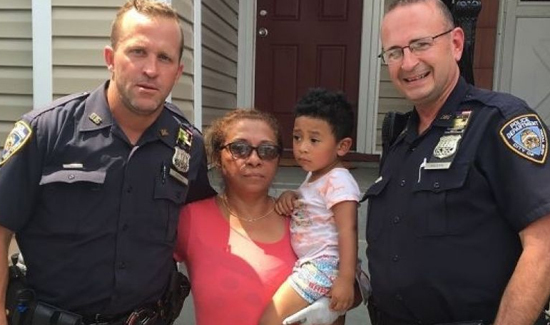 Two police officers rescued a woman and her 2-year-old grandson from a blaze in their Queens, N.Y., home Thursday. Officers John Maderik and Brian Coffey ran in through the South Ozone Park home’s front door after a passing motorist alerted to the flames inside. Upstairs, they discovered the grandmother, 56, who was disoriented, in a smoky room looking for her belongings. The cops shepherded the grandmother and toddler out of the building and then rushed back inside, kicking in the door of an apartment on the first floor to make sure nobody was left behind.